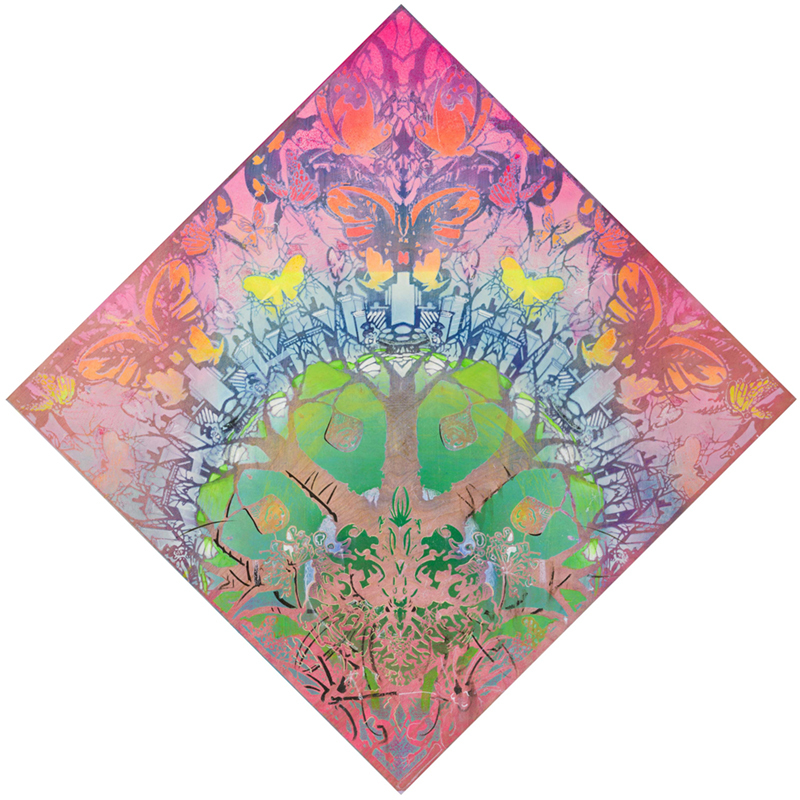 The kaleidoscopic work of Lane Twitchell mesmerizes with its rainbow color palette and intricate imagery. Here, a central tree stretches its branches into the city skyline, where butterflies hover over the buildings. Each element transforms into the other, rendered in Twitchell’s delicate lines and layered media. Born in Salt Lake City, Twitchell currently lives and works in Brooklyn, and has exhibited his work throughout the US.